On September 15, 2017, Jayden Blanton, a Black male 17-years-old, was arrested for the death of Jorge Torres. 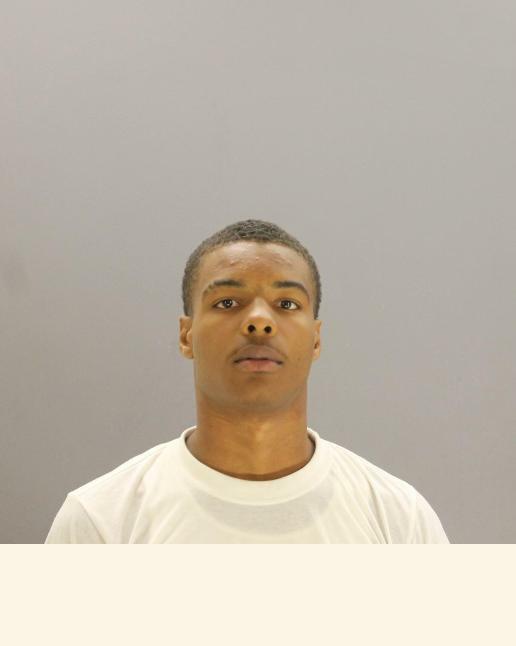 Blanton was transported to Dallas Police Headquarters to be interviewed. He was read his Miranda rights and agreed to wave those rights by speaking with detectives. During the interview, Blanton admitted his role in this crime. He was placed in jail for the capital murder of Torres and other unrelated warrants. His bond amount for the capital murder is $500,000.00. Below is a photo of the suspect Jayden Blanton. If anyone has information on his location, please call Detective Chaney 214-671-3650 or 9-1-1. Suspect Blanton should be considered armed and dangerous. A suspect has been identified in this Capital Murder. Jayden Blanton B/M/17 was identified and a Capital Murder warrant was issued today. Blanton is the suspect seen in the surveillance video below. If anyone has information on his location, please call Detective Chaney 214-671-3650 or 9-1-1. Suspect Blanton should be considered armed and dangerous. The victim in this homicide has been identified as Jorge Alberto Torres L/M/37. Update: August 21, 2017 @ 4:30 p.m. The suspect in this homicide were observed through video surveillance video camera approaching the victim on foot, physically pushing him, and then shooting him. There were three suspects that participated in this robbery. They were all seen on video fleeing the scene on foot possibly running to an apartment complex not far from the crime scene. The suspects remain at large. The suspect depicted in the video is believed to have participated in this heinous crime. The suspect is wearing a tee shirt with a unique design on the front. The Dallas Police Department is seeking the public’s assistance in identifying the suspects in this senseless offense. Please notify Detective Derick Chaney at 214-671-3650 or by email derick.chaney@dpd.ci.dalllas.tx.us. Original Post: August 21, 2017 8:51 a.m.
On August 20, 2017, at approximately 10:46 p. m., Dallas police responded to a shooting call at 2400 W. Ledbetter Drive. Upon officers arrival they discovered 35- year -old Latin male suffering from a gunshot wound. The victim was transported to a local hospital where he later died from his injuries. The identity of the victim has not been confirmed at this time. This offense is documented on case number 190785-2017.